The team with their teacher and coach, Mr Bowen. 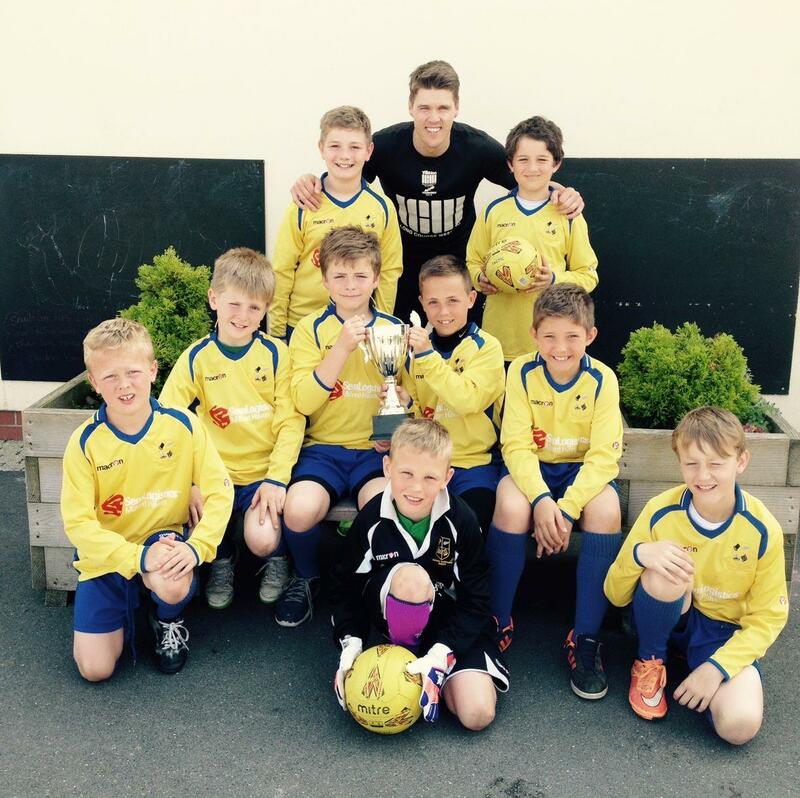 Neyland Community School are this year’s Pembrokeshire champions in the Urdd Junior Football Competition. The team played five matches on Tuesday 21st April at Camrose and won every match. The team will now play against other county champions in the Urdd finals on the 9th May at Aberystwyth. This entry was posted in Sports on May 6, 2015 by admin.